The charter aims to build the foundations of a more democratic regime but doesn’t clearly define the role of Islam in the new architecture of power. In a deeply polarised country, the current version would leave investors exposed to instability and uncertainty. 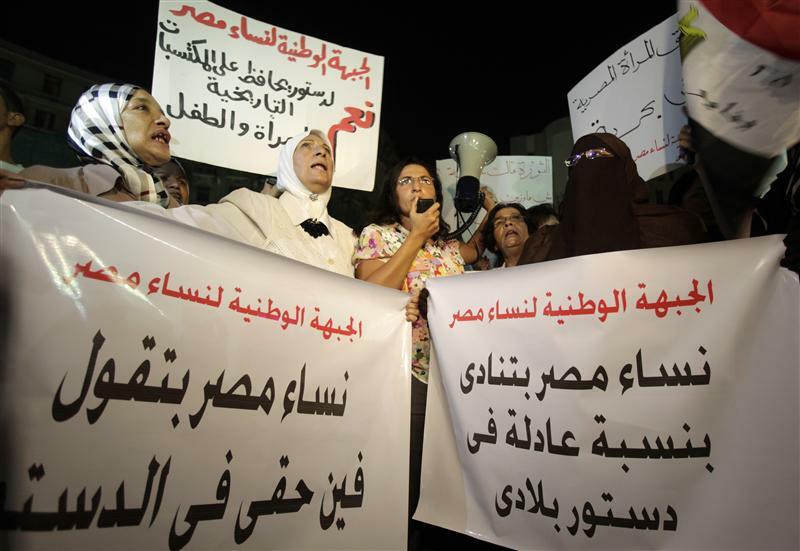 Female protesters hold signs as they call for a greater representation in writing the constitution, in Cairo September 10, 2012. The words read: "More women in writing the new constitution." Egypt’s Islamist-dominated 100-member constitutional assembly must agree on a final draft of new charter for the country by Dec. 12. Article two of the draft constitution dated Oct. 14 states that the principles of Islamic sharia are the main source of legislation. Salafists have criticised the document for not being Islamic enough, while liberals argue it is not inclusive and that the composition of the assembly is illegal. In October, an Egyptian administrative court referred a decision on whether to disband the panel writing the constitution to the Supreme Constitutional Court. The timing of a final verdict is unclear. If the constitutional assembly fails to meet next month’s deadline, President Mohamed Mursi has the power to appoint a new assembly to write the constitution. Parliamentary elections are not due to take place until the constitution is approved in a national referendum.